Colour is back for weddings in 2017. 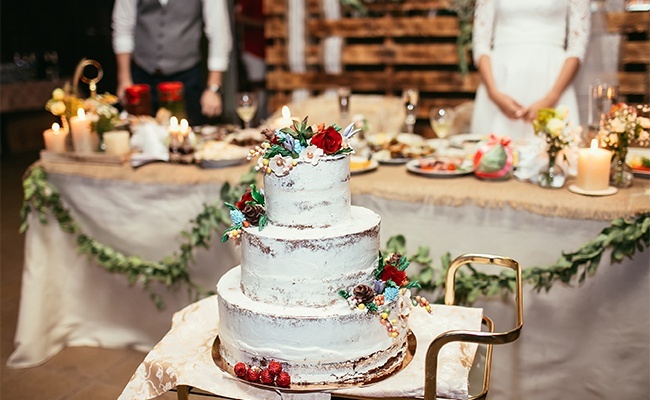 This year, expect to see more weddings embrace bright, bold colour schemes and eye-catching floral displays. 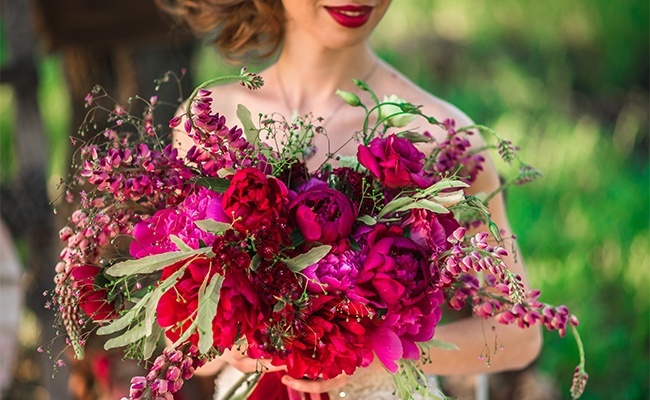 Nothing screams mid-summer wedding celebrations like a burst of colour. So, if you’re brave enough why not take the plunge and go all out for your wedding day. 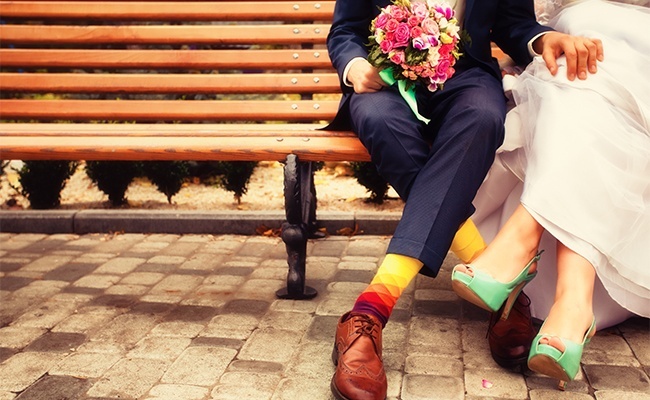 Here are a few suggestions from Create’s wedding planners. Flowers are the ideal way to bring oodles of colour to a wedding day. Mix hues of pink, oranges, violets and greens for a rainbow explosion in your bouquet and table centres. Summer flowers also lend themselves to loose, textured arrangements filled with the likes of jasmine, sweet peas, ranunculus and pillowy peonies. Think about tying stems to chairs with coloured lace or velvet and jazzing up the groomsmen’s suits with bright button holes. Every bride wants to choose the perfect pair of shoes to wear beneath her wedding dress. So why not go bright? You could use the flash of a red sole from Christian Louboutin, something more playful with a Charlotte Olympia heart pump or even make the shoes your ‘something blue’. If you’d like the colour pop theme to carry though onto your table top, talk to your caterer about choosing a coloured glassware, coloured linen napkins, charger plates or a dip-dye table runner. One of the most inexpensive ways to make your day a colourful one is to utilise the array of brightly coloured decorations on the market. You could include anything from pom-poms, streamers and confetti to balloons and bunting. Invites, placement cards and table plans are also a fabulous way of working with bright design on your big day. Add a coloured wax seal to invites or favour boxes for a really special touch! Keen to have clusters of occasional furniture where your guests can relax during the day? 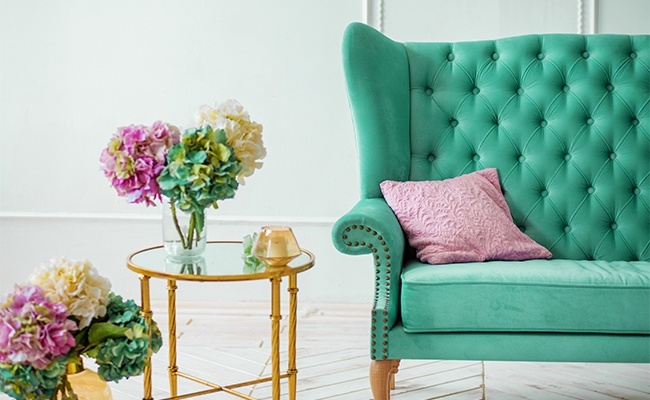 Then how about adding colourful armchairs to your venue set up. We recommend bright chairs in coral and blue with patterned scatter cushions to complement the bright theme. Drinks and bar props are a fun way of making your bar look vibrant and appealing. Think drinks in pinks and red, striped coloured straws, fun drinks, garnish sticks (flamingos/pineapples etc.) and coloured Tolix stools. Neon lights are very ‘now’ and instantly add quirk and colour to their surroundings. Neon batons can decorate white walls paces, while a large neon heart makes a great photo booth prop, and vintage signs decorate a dining room or dance floor. For more wedding theming inspiration visit createfood.co.uk.